Door to door transportation to visit wine country. Complimentary champagne (in Limos), bottled water, and refreshments. Attentive service, fun ride, plug your music, & enjoy wine country. 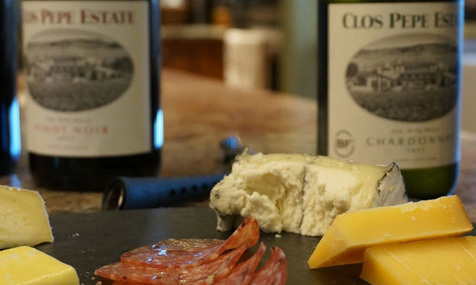 We'll make reservations at wineries when tasting fees, and lunch is selected. Scroll down and choose your vehicle now! "I called Golden Limo when I was planning my friends Bachelorette "wine tour" weekend in Santa Barbara and let me tell you, we were not dissapointed, we had an amazing time! I definitely got a lot more than I was expecting! Tomas educated me on some of the better vineyards to go to, helped put together an itinerary, suggested lunch places and the cheese tray they had in the limo for us was amazing-in both how it looked and tasted!! We ended up ditching our itinerary and booking 2 extra hours, we were having so much fun! It was definitely full service treatment with all the little extras thrown in! I would HIGHLY recommend Golden Limo and I would use them again next time I'm wine tasting in SB!" *prices do not include gratuity. *Wineires we can visit are limited to specific wineries. * 4 wineries if your pick up is in Santa Ynez valley, 3 wineries if your pick up is in Santa Barbara.